We’d been talking with friends for months about a three-week trip to France and on the day we were finalizing our plans, terrorists attacked Paris. That day they murdered people who were simply doing some of the very things we planned to do: sit in cafes, maybe attend a concert, stroll down a street, attend an event. In the following days, terrible events occurred, involving Russia, Turkey, Syria, Mali. So much violence and death. 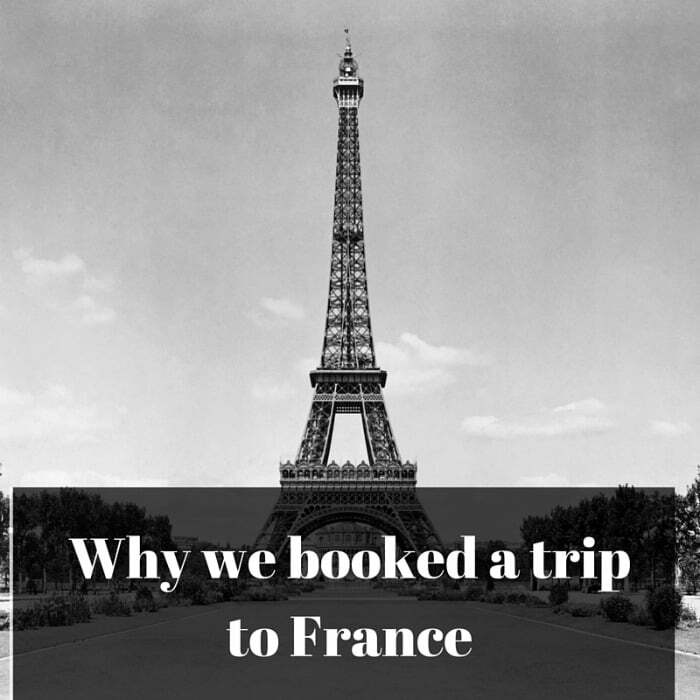 We told our travel agent to hold on before placing a deposit so we could reconsider: did we really want to travel to France? In the days that followed, a year-old video was released of a Chicago police officer shooting a teenage suspect 16 times, many shots point-blank after he was dead. A Chicago nine-year old was lured to an alley and executed by gang members for revenge. Someone shot up a Planned Parenthood building in Colorado Springs, killing three, including a police officer. And that was just a few days of news in the U.S. A few days. A little shell-shocked, I sat in the chilly pre-dawn hours watching the fireplace and considered: Have things gotten horribly worse in recent years? Or is this the way the world has always been, but we didn’t notice until the advent of instant global news? Who knows. That is not a question. Maybe statisticians could tell us just when this shift happened, but it’s clear that evil has taken root in the world and in this environment, we need to be ready for anything to happen. Even as we acknowledge our fears, we need to be ready to die. Well, look. We can either huddle in our homes, afraid to go anywhere, or we can continue to live for as long as we can. And that means LIVE in capital letters. Diners in charming Parisian cafes didn’t expect terrorists to execute them when they left home for an evening out. Women getting health care services at Planned Parenthood didn’t expect someone to attempt to kill them. And who would predict that the cold, sick mind of a gang member would give him license to lure a child to an alley and brutally execute him. Right after the Paris attacks I admitted my fear in this very space. Nothing has changed, really, in the days that have followed. Nothing. But I’m not willing to give up my life, myself. There is nothing, absolutely nothing we can do about the bad things that happen in the world, no real steps we can take to protect ourselves. No, not even arming ourselves. At some point we need to understand that when it’s our time to depart this world, it’s our time. If we have faith of any kind, we should be okay with this. We can not change what’s destined to happen. So, we go on with our lives. Two weeks after the attacks, the four of us placed deposits on our trip to France. We had to book 18 months early to get certain discounts, so we won’t leave until 2017. And we bought trip insurance, as we normally do. I don’t know what the coming months will bring but I can say with certainty that there will be more and maybe even worse world events. Come spring, we’ll be getting on a plane to Portugal. In a few days I’ll fly to Maui to meet up with a girlfriend and in February, M and I will fly to San Diego. Any time we step off a jetway onto a plane, we take risks. I know that. But as tempting as it is to huddle in the house in front of the fireplace and escape into books and movies, life is meant to be lived. And I’m going to live it because all those people who were killed can not. You might say that I’ll live it in their memory. I spent my 14th summer in Israel with a group of teens and we were accompanied by our counselors, a medic and a soldier. I clearly remember my father saying the Middle East will always have troubles and we can’t hide our whole lives. (This was soon after the 6 Day War.) My favorite city is Paris, and when the opportunity presents itself I’ll go again. Go for it, Carol! If not now, when? Your father was wise. You were lucky to have such an inspirational family. Yes. How exciting that you’re going! It’s a dream of mine to get there someday. And it’s so true. So much happens so close to *home* that what’s the difference, sometimes? I’m excited for you. Live your life! Chase your dreams and your dream destinations. What amazing plans you have for the coming months/years. Andrea B. recently posted…Ten of My Favorite Reads in 2015! Yes, we love travel and we are busy making our dreams come true. So, do-badders, get out of the way! I’m so happy for you Carol. You’ll have a wonderful time! One friend just got back. She felt very safe and my brother is there right now. Yes, life does go on and I am encouraged by your response. My husband and I are going this March. We have beloved French friends whom we haven’t seen in ages and Paris feels like home. We lived there for seven years in the 90s and experienced the wave of bombings then. During the Jewish high holidays we had to go through protective police lines to enter our little synagogue. We would not abandon Paris for some fanatics who want us to do just that. Exactly. I know about your long history with Paris. Wish you were going with us! I’ve been having the same argument with myself over our upcoming vacation plans to somewhere warm and sunny. Evil has always been in the world. But if evil stops me from living, then evil wins. I so agree with you. I’m living! Do it, Diane. Go. Have fun. Live! You are right. There is nothing we can do. Huddling in my house is usually the last thing I want to do. I’m not ready to die, but I have to LIVE. I can’t even picture you huddling in your house. Not you! The indefatigable, adventuresome traveler who inspires me every day! I love this post. I see so much violence on a day to day basis where I live and understand it is everywhere and I can’t escape people who wish harm to others. But I refuse to let that run my life. I plan on going to Paris in April and I am super excited! My grandma and mom are super worried in light of recent events, but I explained to them violence is everywhere. I am thrilled for you and know you’ll have a fabulous time! We are planning to travel to France this summer. I am cautious, but can’t let the attacks make me live in fear all the time. I know I could get hit by a bus on the road near my house too. We have to keep on living! Anything can happen, right? So let’s live. 😉 Can’t wait to land in Paris! We already have a trip booked for France because, you’re right, terrible things can happen anywhere and we have to live our lives the best we can. Hope to see you when you’re in San Diego. Wow, for a change I don’t know what to say. Go for it? Yes, Carol. Go for it. It will no doubt be a wonderful experience. Don’t let fear scare you away from your dreams – but be cautious, be aware of your surroundings and – Go for it! You will have a wonderful time when you are there and although I’m sure you’ll think about it, it will just be a passing thought. We can’t live our lives filled with fear, that’s true. Anything can happen to anyone, anywhere! Well said. You never know when your life will end and where so what can you do?. Glad your travel plans are not intimidated by events and I love your pictures you share when you travel! Que sera, sera, tu sais. That is the way we feel here in the south of France too. We travel to Paris when we need to, not exactly fearlessly, but we are not going to change our plans (or our lives) because of what happened. I like the idea of living because the people who were killed can no longer do so – a tribute to their memory. And in a couple of days, we’ll be getting on a plane and flying via London and Johannesburg to Cape Town in South Africa to go and see my father. Am I going to deny myself the chance of seeing him again, at his age, because of what happened in Paris? No way. Right around 9/11 I was scheduled to fly to Italy on a trip. We rescheduled it for a year later and had an amazing time. Good for you for loving your life. I love that about you!! I do what I want/need to do. We are planning a trip to Switzerland, and a few other EU countries, in two years. I will not live my life in fear. Everything you’ve written here is so true; we can’t live in fear. But I will admit, I have some awful phobias—and one if them is flying. Not sure I’l ever be able to get over it, but I also don’t want to miss out on traveling to some of the places I consider a dream vacation. Then take a fear of flying course. If you search on my home page for fear of flying, you’ll see info on it!